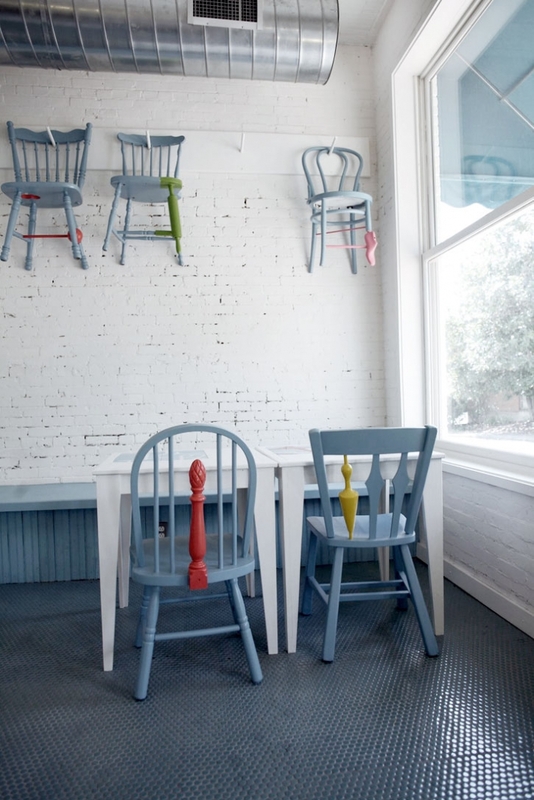 Today I came accross the Chairs and Buildings blog by Annie Coggan through another favorite blog; Bloesem by Irene Hoofs. 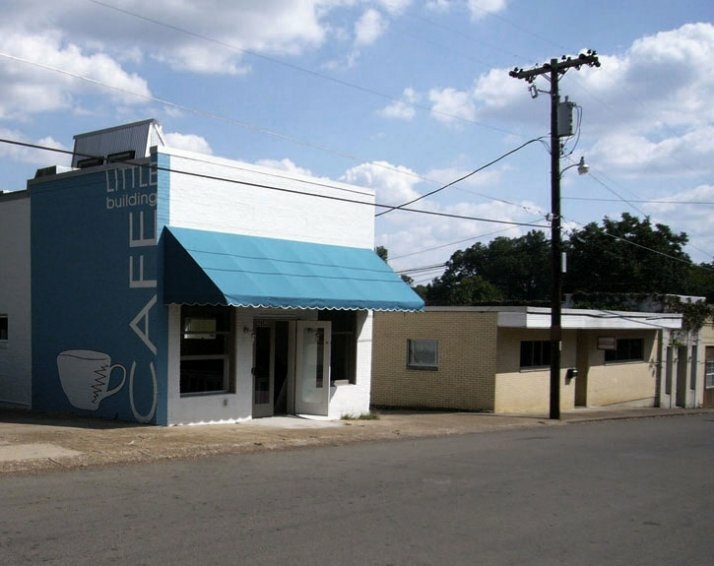 Thanks to Irene I discovered the Little Building Cafe by Annie Coggan. 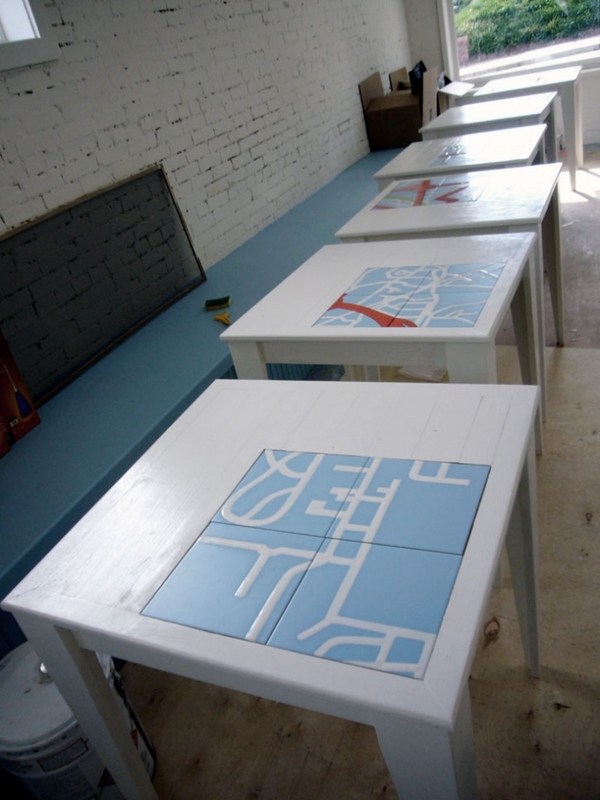 Annie's new restaurant has recently opened its doors for which she has designed the stunning chairs of the images below and some tables made by Lubna Chowdhary's tiles All the quadrants are parts of the map of Starkville, Mississippi! 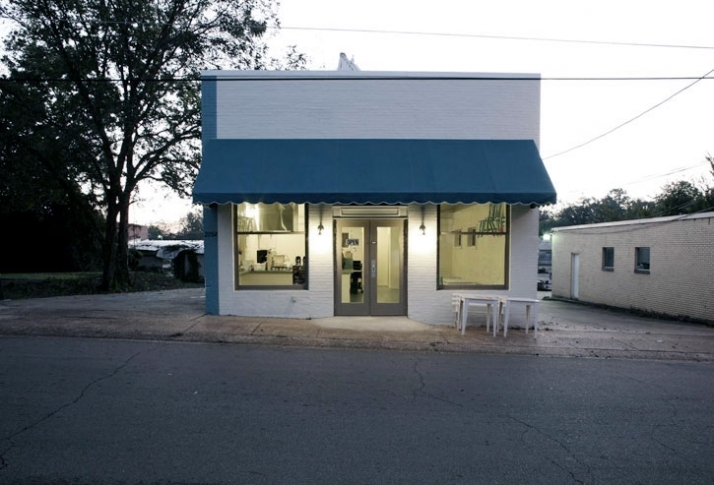 Annie Coggan is a Designer/Artist who lives in Starkville, MS. after years and years of living in Brooklyn, NY. She maintains a studio, Coggan + Crawford Architects. She is the partner and wife of Caleb Crawford and the mom of Madeline Crawford. Annie has just begun teaching in the Interior Design Department at Mississippi State University. Her "Chairs and Buildings" blog serves as a notebook/sketchbook and visual food for thought. 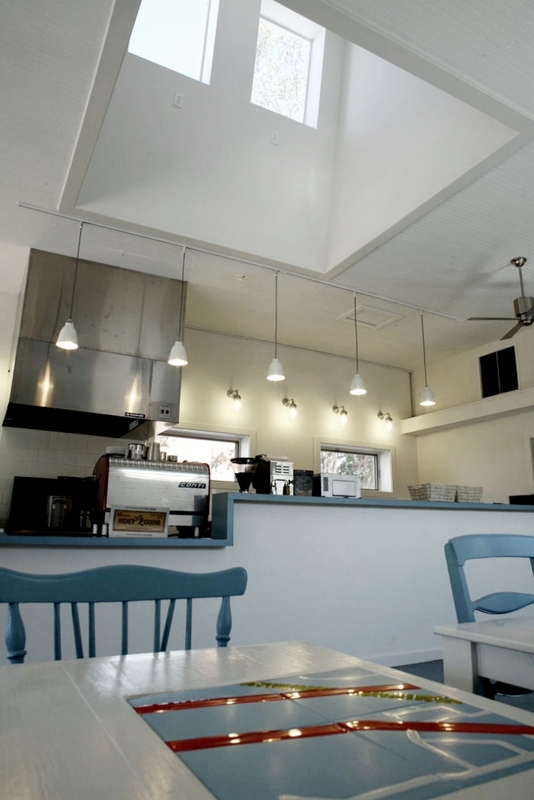 here are some words by Annie for the Little Building cafe, posted at her blog a week ago. 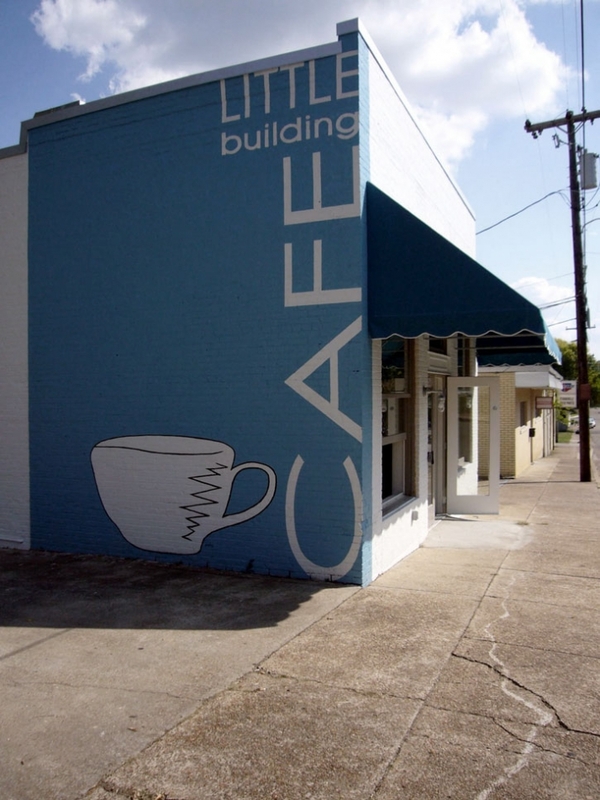 "Little Building Cafe is finally open. 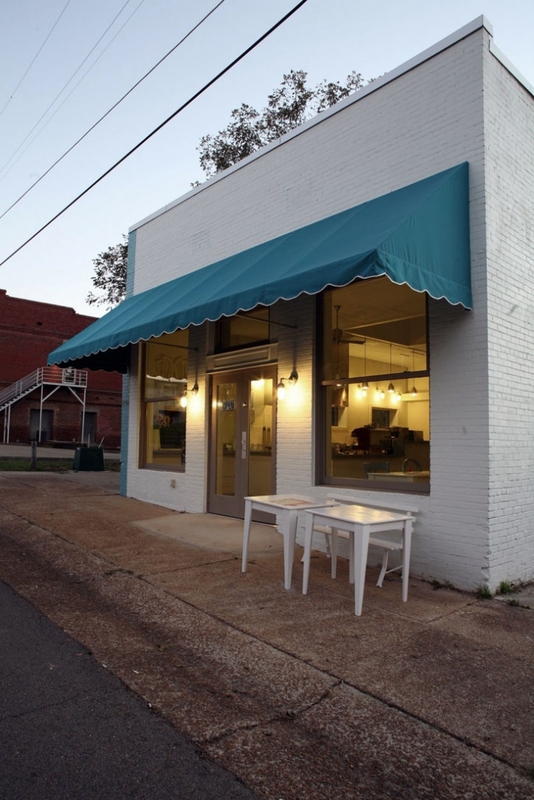 In reality it took under a year from getting the building to opening the doors but in a small town, people have been ready for it for a while. Sorry about slacking on the building updates but I am not self-reflective and construction is a tough subject to stay happy about.... Next week I will start a Little Building blog that will give a daily update of what Ted is cooking and what we are getting from farmers. I will also talk about books we are reading on sustainability and food, the Local Food movement as well as pay homage to some culinary heroes......Stay tuned." We will definetely stay tuned Mrs. Coggan..Congratulations to your little project! Cheers!